MALAYBALAY CITY (07 May) Bukidnon State University’s Instructional Materials Development Center (IMDC) is now operational with a list of so far 17 publications with International Standard Book Numbers (ISBNs) and copy rights registered before the National Library of the Philippines, Dr. Zita I. Dales, IMDC director, said. The ISBNs and copyrights of 16 IMs, produced by BukSU faculty over the years, were registered last year. The ISBN is a 13-digit number that uniquely identifies books and book-like products published internationally. According to ISBN.org, its purpose is to establish and identify one title or edition of a title from one specific publisher and is unique to that edition, allowing for more efficient marketing of products by booksellers, libraries, universities, wholesalers and distributors. On the other hand, a copyright is the exclusive legal right to reproduce, publish, sell, or distribute the matter and form of something (such as a literary, musical, or artistic work), according to the Merriam Webster. Dr. Dales added that there could have been more IMs published, if not because of the transition to the new curriculum this school year. So far, College of Arts and Science faculty produced the published instructional materials. 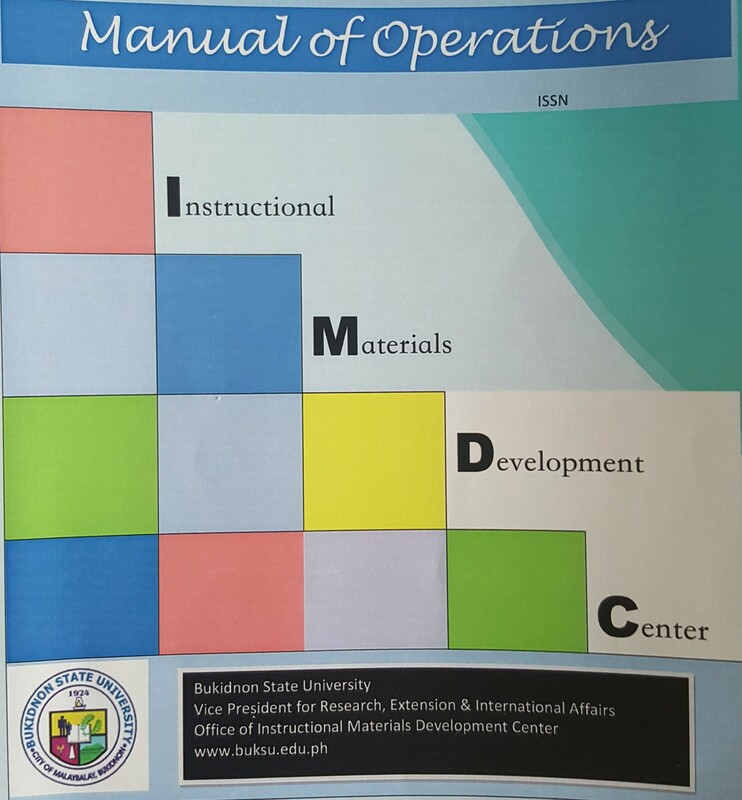 The IMDC also registered its Manual of Operations, as the 17th publication in the list. For school year 2018-2019, each college has pledged to submit at least five instructional materials for approval, production and use. The IMDC is accepting developed IMs until May 15, 2018 for the evaluation of the Instructional Materials Evaluation and Review Committee (EMERC) and the approval by the Instructional Materials Development Board for production by the University Press, she added. The IMs can be used for instruction starting June 2018. Dr. Dales said they also initiated the patent application process of College of Social Development and Technology (CSDT) faculty Rene M. Chavez’ innovation titled “An Instructional Trainer Innovation for Automotive Lighting, Car Alarm and Central Locking System”. The IMDC was established on June 24, 2016 during the 168th Board of Regents (BOR) meeting at the CHED conference Room in Diliman, Quezon City through Resolution No. 1702, s. 2016. The center’s goal is to promote production of research-based innovations, inventions and instructional materials, which emerged from policy initiatives during an action planning session on July 7, 2016.